I’ve had a chance to test a new iPhone GPS app that launched a while ago. Gogo Navigator is a full turn by turn GPS that has maps in 3D and Text-To-Speech. 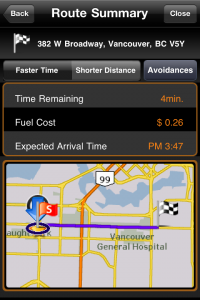 It includes similar features to more popular GPS apps such as Navigon and TomTom–but at a lower price. Navigon costs $59.99, and TomTom $49.99. 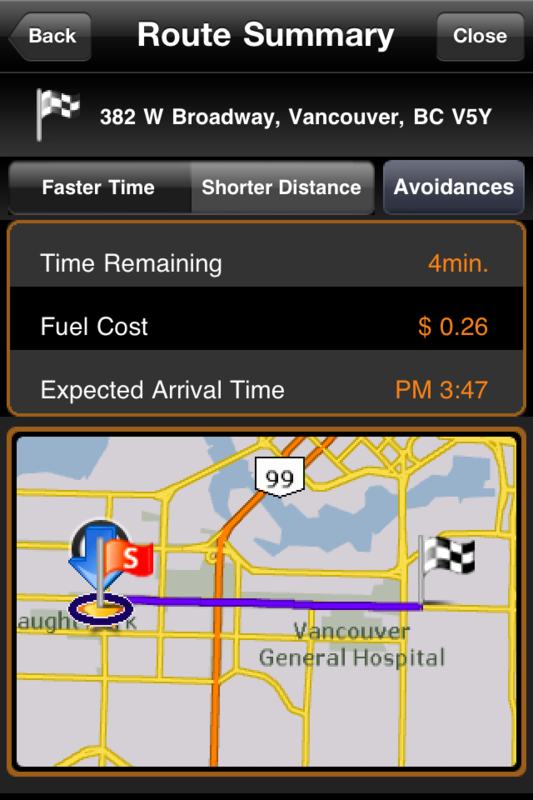 Gogo Navigator is $29.99 (we previously reviewed CoPilot Live, which is $19.99). How does this iPhone GPS compare to the others? Let’s find out with my quick review. Gogo Navigator is a 1.8 GB download–which means maps for Canada and the USA (plus Hawaii, & Puerto Rico) are stored right on your iPhone. That means if you’re on a road trip to the US, you’ll have a full GPS in your pocket without relying on data charges to download maps. 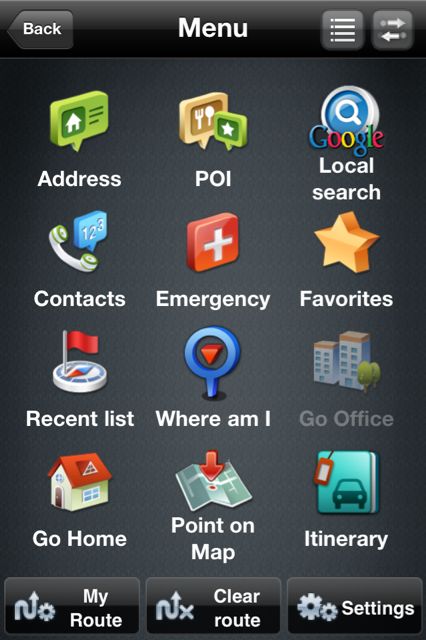 Maps are provided by Tele Atlas, which is a subsidiary of TomTom–bonus. â€¢ iPhone Contacts Integration: Route to your contacts. â€¢ Phone call interruption. Gogo auto resumes after incoming phone call. â€¢ iPhone standard touch gestures: scroll through the menus and list. How Did Gogo Fare in my Brief Tests? 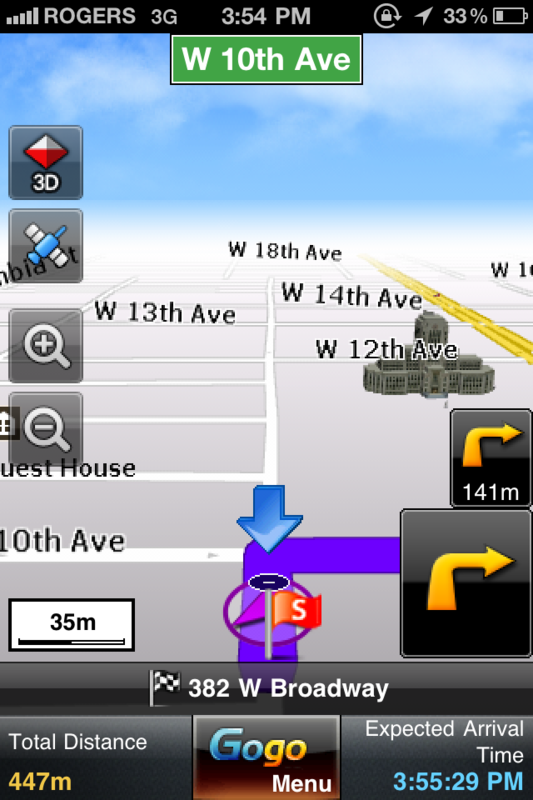 My iPhone GPS of choice is Navigon. How does Gogo compare? 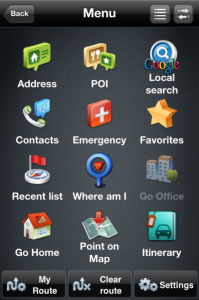 Well, right out of the gate the Gogo has your standard GPS user interface. The GPS was pretty accurate, and the distance counter decreases in specific increments. The TTS was accurate but I didn’t see any options to increase or decrease the warning intervals leading up to turns. Setting an address was easy and straightforward, and points of interests were current to my neighbourhood. Driving with Gogo was solid, but I found the street names hard to read (a bit small). Directions were clear, and the GPS worked well in Vancouver. There’s also a feature to calculate your fuel costs, which is neat. The POI search is downright one of the best. Results show up quickly even via partial searches, and I found some places that I didn’t think would show up. Very nice. If you’re looking for an alternative to Navigon or TomTom, Gogo is definitely worth considering based on the price alone. But ignoring the price, Gogo is a worthy contender because it includes many features of more expensive apps, and worked well with my brief tests. You can check it out here in iTunes. 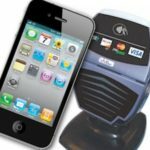 iPhone 5 To Feature NFC After All?